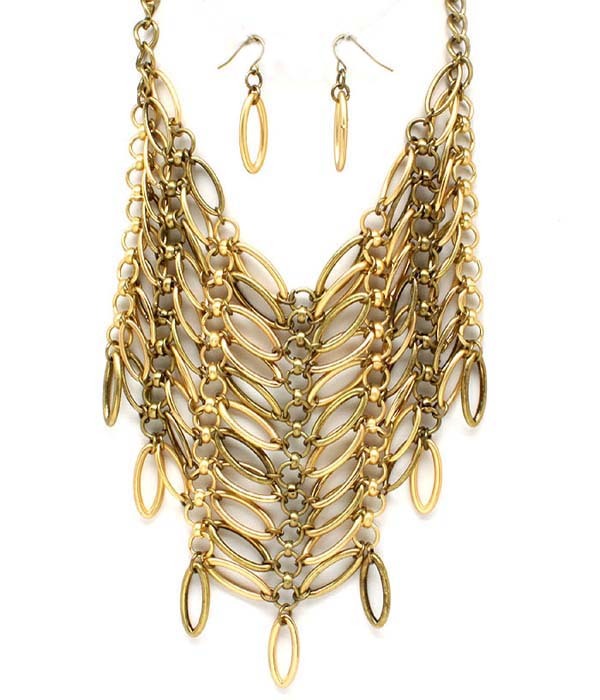 Large bib necklace resembles an antique chain armor with multiple layers of circle and almond-shapes ringlets. Unobtrusive earrings feature one pending almond shape ringlet each. Purchase one of our bib necklaces and other jewellery to qualify for a free bonus bling gift.